With summer holidays winding down and school soon to start for a new year, you may be inspired to clean up your work space. 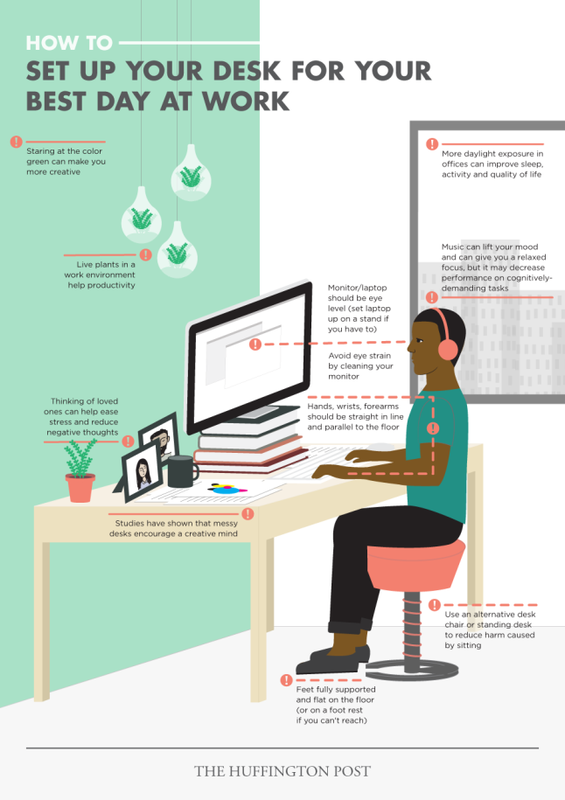 For maximum productivity and happiness, incorporate the following 10 elements into your redesign. Keep in mind that you can paint the wall green, or you can kill two birds with one stone and install a living wall. You can also add green via accents: trim, accessories, artwork, or flooring. Accessorize! Display photos of family and/or friends and, if you can, opt for an active chair. Studies show that having an accessible natural light source — a window or skylight — will not only increase your productivity, but gain you an extra 46 minutes of good sleep each night. Will your office be receiving an update?